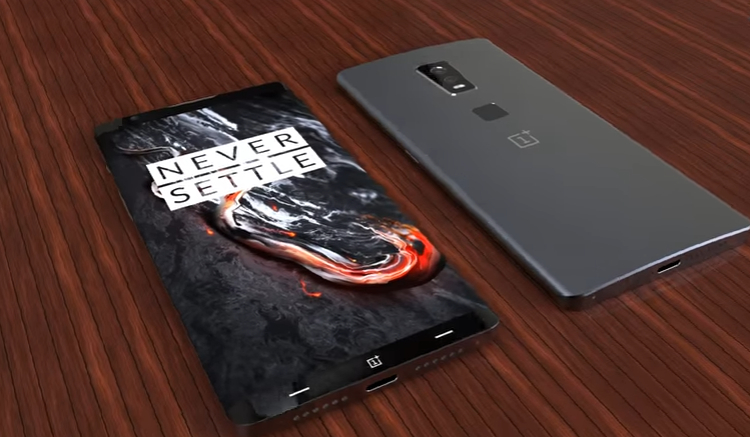 OnePlus is an expert in the art of hype, and it all started with OnePlus 1, which they termed ‘the flagship killer,’ a high-end of that era at a price considerably cheaper than that of flagship The leading companies. Its main attraction continued in the inclusion of CyanogenOS, although the method of invitations cast back more than one. Since then, the company has grown into notable OnePlus 3 and 3T, but there are still things left to improve. With the OnePlus 5 just around the corner, let’s make a list of what we expect from the flagship future, and that could make it more successful than the current generation. Many of us will agree that the FullHD resolution is, by itself, more than adequate for virtually all tasks, while others would not buy a high end that does not have QHD screen. Both views are equally good, but if someone wants to make use of virtual reality, it would be better to have a 2K panel to see such content better. Also, high-end processors are more than ready to run in this resolution fluently, now with the Snapdragon 835 onboard that there will be no lags in running any application, however demanding. Although using a FullHD panel gives you an extra autonomy, more and more users demand that the high-end QHD screens. Most of the smartphones batteries that are unable to offer several days of use before going through the charge, we need batteries of greater capacity. Given that the OnePlus 5 would arrive with a 5.5-inch screen and possibly QHD resolution, the rumored 3,600 mAh limits the users, and it will be a serious disadvantage? No! A capacity of 4,500 mAh would be an amount that we can consider suitable for a large power terminal without having to plug it in throughout the day. Of course, the Dash Charge technology will be present to make the charge much faster, but nobody wants to have to carry the charger with him in case he runs out of battery throughout the day. One of the primary defects of the OnePlus 3 / 3T is that it does not have microSD card slot, although many companies have revived or maintained it. Users may think that with a minimum of 64GB of storage is not necessary, it will not be filled by many applications that install, but microSD are not just for storing photos and data from apps. The microSD has many uses, so we hope that OnePlus will encourage you to give your future buyers the corresponding slot. A change in the design! As we have said several times, innovating in the design of smartphones is tough, but there is always something to which you can give a twist to differentiate from previous generations without losing their identity. OnePlus did something like that with last year’s phones, slightly changing the design while still being themselves. The company has ideas to make the OnePlus 5 different from the OnePlus 3 / 3T. Already have leaked some renders of what could be the terminal, and does not seem a bad turns out to be the real one. More software support this time! A lot of people complained in the social media and forums that OnePlus 2 and OnePlus X users were abandoned in software support despite promises from the company, while they are rather pampering the OnePlus 3 / 3T. It is still too early to say if it will happen with the current high end of the manufacturer, but there are those who fear that with the arrival of the OnePlus 5, which was receiving all the attention of the world, may be abandoned. The Chinese manufacturer has put each of its high-end phones the nickname of ‘flagship killer’ for bringing specifications to the last at a reduced price. If OnePlus wants to continue using that nickname, it will have to adjust the price of its OnePlus 5 to make it attractive to smartphones like the Galaxy S8 or the Huawei P10 Plus. What do you expect from the new Chinese flagship? OnePlus 5 Leaked Specs on Thursday!